1-CD with 36-page booklet, 30 tracks. Playing time approx. 73 mns. In hardly any other German city was Rock 'n' Roll as present as in Bremerhaven. This was because American soldiers were stationed there and the AFN constantly provided the young people with the latest hits from over there. 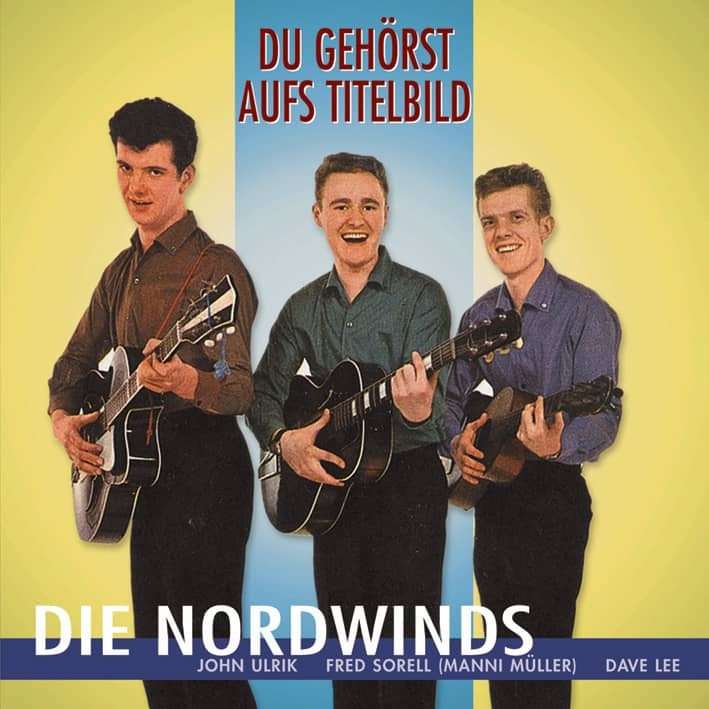 The enthusiasm for rock 'n' roll was so great that they even created their own dance style, the so-called 'Hotten'. 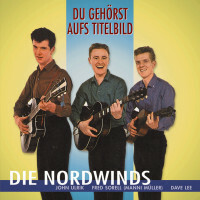 There was really something going on in the German seaside town, and this is where the history of the Nordwinds began. But she's only marginally involved with rock 'n' roll. In 1959 Ron Jenkins, who was born in Wisconsin, came to Bremerhaven as G. I., where he worked as a programme designer for the American soldier channel AFN. Jenkins has studied radio engineering, but also has a certain show talent. He sings, plays guitar and banjo and appears as an announcer and presenter even before he is called up. In order to bring a little variety into the soldier's life, he founds a singing trio together with two comrades shortly after his arrival. As 'Three Coachmen' they provide atmosphere and entertainment at parties and receptions. But his two musical comrades-in-arms were soon transferred and so Ronnie had to look for new partners at the beginning of 1960. He finds her in John Ready and a female military employee named Barbara Goeke, who also sings in the army choir. But Jenkins wants to be on the safe side and this time he puts together a quartet. If someone breaks down, you can still go on with the three of us. Fourth in the group, however, is not an American, but Manfred Müller, a young man from Bremerhaven. Manfred Müller, who was born on 21 October 1939 and is called Manni by everyone, returned to school after an apprenticeship as a machine fitter to complete his school leaving examination. Since his mother works in the army hospital, he has always had contact with the Americans. He made himself useful here and there, for example as a caddy playing golf, and so many other contacts arose over time. This also taught him the English language. Manni is actually a born entertainer. Not only does he play guitar, he also has a powerful tenor voice and takes lessons from an American singing teacher. His repertoire consists of titles such as Granada, in which his vocal qualities come into their own. But in contrast to that he also has the Elvis-skill on him. This somewhat unusual combination is of course well received. Through the mediation of his singing teacher, he is given the opportunity to participate in a performance of the musical 'Brigadoon', organized by the American Service Club. "Ronnie Jenkins heard me, then came up to me and said he was putting together a vocal group. I should stop by," says Manni Müller. One quickly notices that Manni's voice is a perfect match for the others - and since one gets along well with each other, he is now one of them. Customer evaluation for "Du gehörst aufs Titelbild"